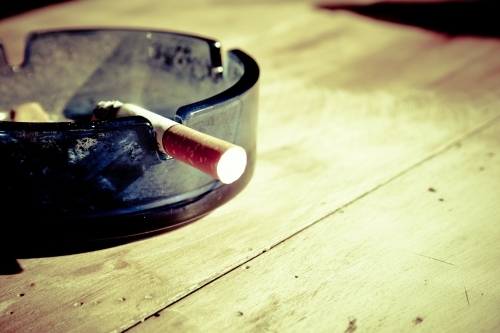 In 2005, varenicline was released as the first oral drug to aid with quitting smoking since bupropion in 1997. However, in 2009 the FDA put a ‘Black Box warning’ on varenicline, following concerns over its neuropsychiatric safety and reports that some users were experiencing suicidal behaviour. Black Box warnings are the strongest warning the FDA issues, and they are “designed to call attention to serious or life-threatening risks.”(3) These warnings must be issued with all prescriptions of the drug in question. The FDA’s only escalation after a Black Box warning is to force a drug to be recalled or withdrawn from the market. In a piece of work funded by the National Institute for Health Research, Dr Neil Davies and Dr Kyla Thomas, from the University of Bristol’s School of Social and Community Medicine, described the current scientific evidence regarding the causal relationship between varenicline and neuropsychiatric safety of patients. Their editorial, published in the journal Addiction, argues that these neuropsychiatric signals were due to those people prescribed varenicline being at higher risk of adverse events even before treatment. Dr Davies said: “It’s likely patients and clinicians would see the FDA’s Black Box warning about serious adverse neuropsychiatric events as implying varenicline is responsible for those events. We know people who are prescribed medication are at a higher risk than the general population, even before they start treatment. Smokers, however, are on average poorer, sicker and more likely to have mental health problems than the general population. Dr Thomas said: “Effective regulation has to balance all the evidence on efficacy and safety, even when evidence is sparse and potentially unreliable. The Black Box warnings issued for varenicline may have confused smokers and physicians about the strength of the scientific evidence about varenicline’s neuropsychiatric risks. ‘The FDA and Varenicline: Should Risk Communication Be Improved?’ by Neil M Davies and Kyla H Thomas in Addiction.